Dubai, UAE, August 08, 2018: If you are looking for a bagful of surprises and delights, get to THE LITTLE THINGS. A hidden treasure trove of unique offering located in one of the biggest malls of the world - Dubai Mall, offering a wide range of exclusive gifts, novelties, toys to other most creative items you can find. Here are some may want to grab before they are gone. Don’t miss the stunning Tokidoki X Marvel collection featuring avengers. Collect, connect and stack these funny, loving characters into boxes. Grab the Nixies Mermaids that move through water with a graceful underwater dance! About Little Things UAE: Founded in June of 1977, Little Things gifts add unique character and a youthful ambience to any home with their hand selected creative collectibles. The boutique delivers the latest and most innovative items that can be found all under one roof. 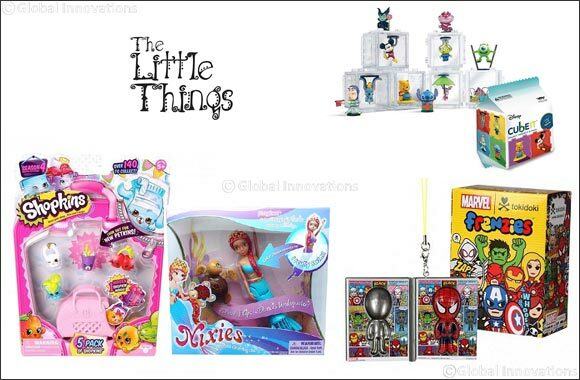 Little Things UAE boutique is exclusively found in Dubai Mall Level 2 between KidsZania & the Cinema.